I've found a fantastic place for us to donate our used scrapbooking products. My super creative friend Cath has a new job as librarian at Calvary Chapel Academy. She is setting up a scrapbooking station for the kids and would love any donations. I will be excepting donations between now and our crop on September 17th. I know it is time for me to go through my closets and clear some room for myself and share items with others at the same time. What do you have that you need to clear out? This is not my scrapbooking room! But I don't want to look like this! 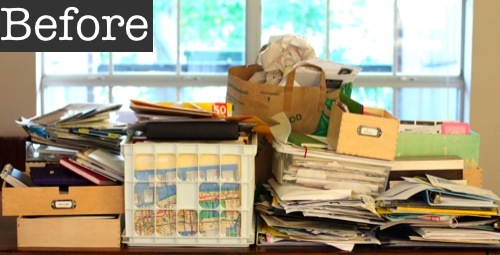 It is time to get organized so you can enjoy your space and not spend all your time trying to find things.